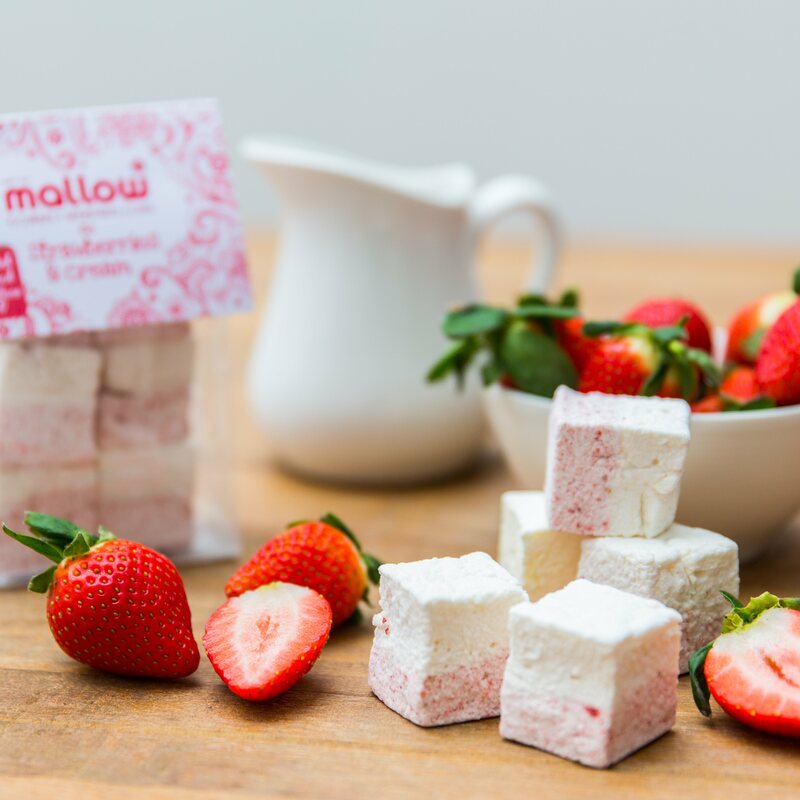 This is a splendid strawberry and cream gourmet marshmallow duet, made with real strawberries. 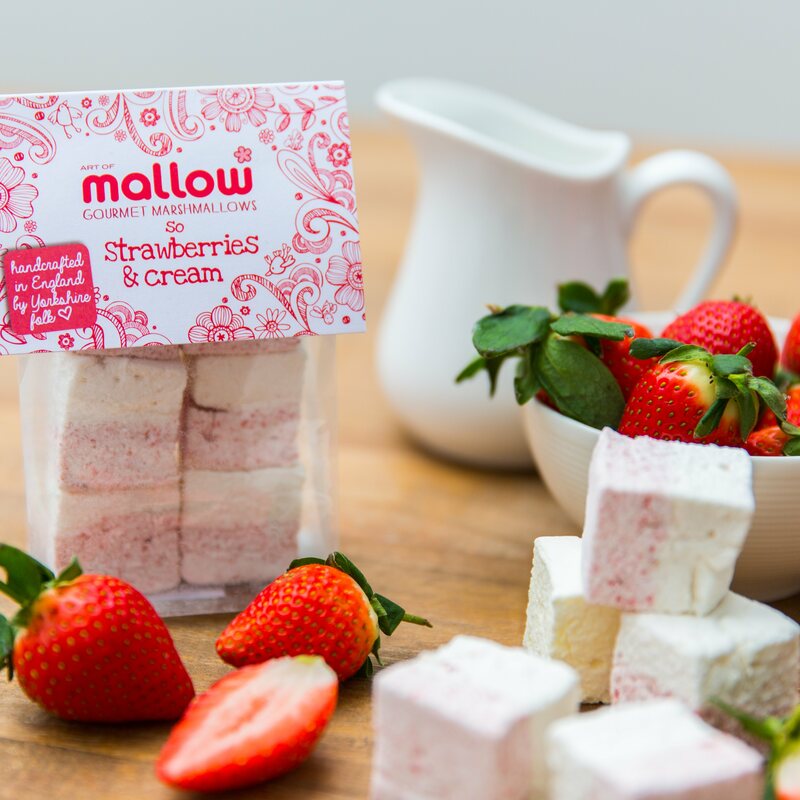 A layer of strawberry mallow is topped with a layer of vanilla making an all round pretty delicious marshmallow. This yummy artisan handmade treat is a mallowy twist on the Great British classic combo. Delicious in all kinds of weather! 75g bag (contains six generous cubes of handmade marshmallow). Ingredients: sugar, water, glucose, beef gelatine, freeze dried strawberries, vanilla extract, salt, cornflour.